I've been taking more of an interest in skincare lately, and I've been trying lots of new stuff. 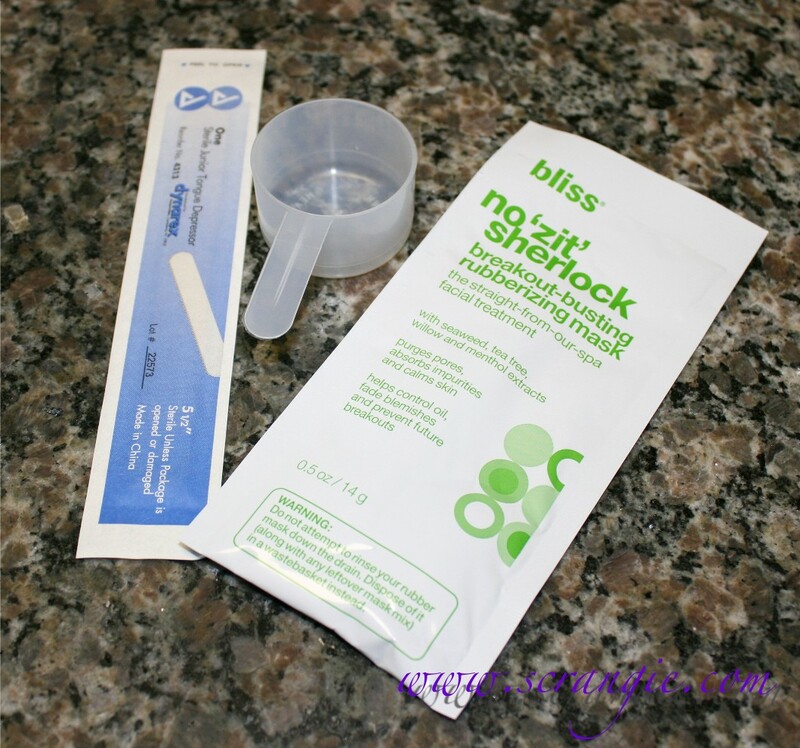 One thing I've gotten really into recently are masks, so I was excited when I saw this single-use try me kit of the new Bliss No 'Zit' Sherlock rubberizing mask at Sephora. I've never seen a rubberizing mask before... Sounds odd and maybe even a little fetishy, doesn't it? It is pretty odd, actually. But fun! The kit comes with a 0.5oz packet of mask powder that must be mixed with water. Luckily they give you a measuring cup for the water and a sterile tongue depressor/spatula for mixing it. At first, I poured the whole packet of mask into my mixing bowl as directed. Based on other powdered masks I've used, that seemed like way too much powder, so I put half away and was left with this much. It still seemed like a lot. 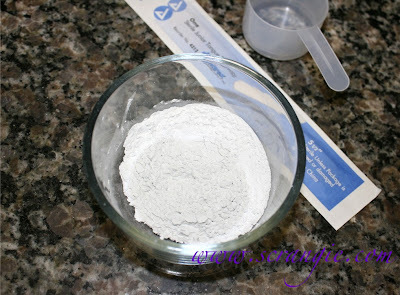 Since I only used half the packet of powder, I only used half a measuring cup of water. Really glad I only used half since this was still more than enough to cover my whole face in a thick layer of masque. When you first apply it, it looks glossy and wet. But, after a few minutes, it starts to change. It turns all rubbery and weird! It really does have the texture of rubber, like a Super Ball, but not as hard. You can tell a little from this picture how it has a thick, rubbery, bouncy texture. I've never used a mask like this, ever! 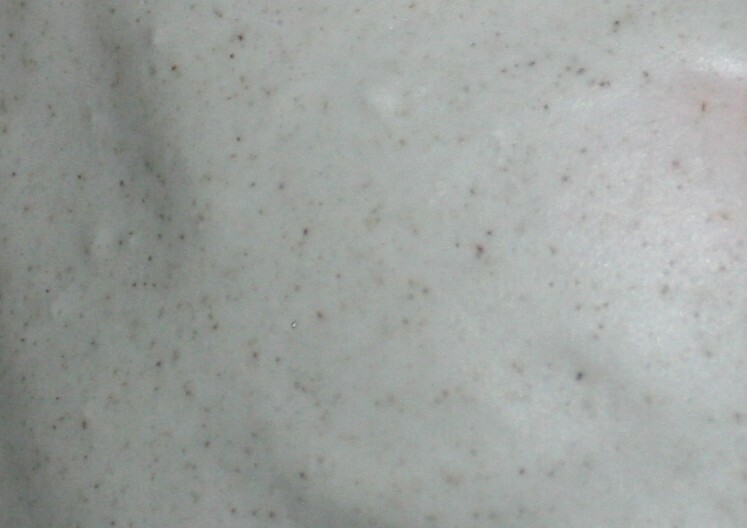 The mixing part was straightforward enough, but the texture of the mask seemed lumpy no matter how much I stirred it. The lumpiness didn't make much of a difference once it was on my face. The mask has a bit of a tea tree oil scent to it, but doesn't seem to smell like much else. It feels cool when you apply it to your skin, but not necessarily tingly. As it dries, it retains a wet coolness, partially enhanced by the menthol in the formula. I left my mask on for maybe 20-30 minutes (I didn't time it), until it felt rubbery enough to peel off. The package warns you not to rinse the pieces down the sink, so I peeled mine off over the mixing bowl and threw the pieces in the trash. 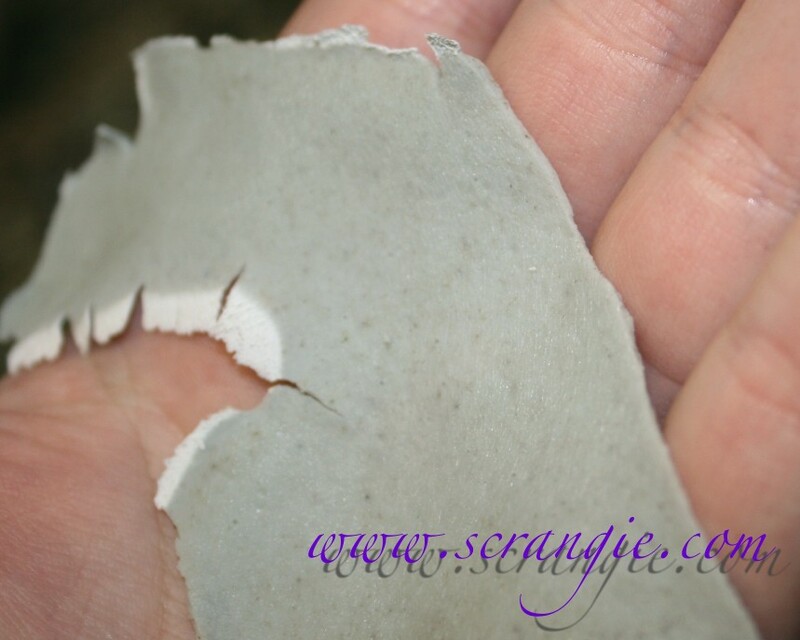 Removal doesn't hurt or peel like other peel-off masks. It just comes off in big, slightly damp chunks, no effort required. 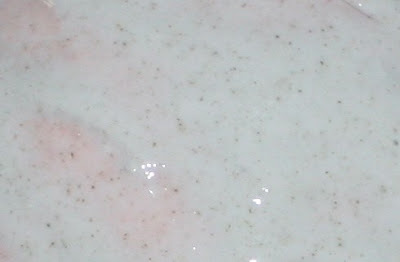 The places where it was applied thinner tend to dry completely and must be rinsed off. My skin didn't feel dry or tight after removal. The big question... did it make my skin look better? Nope. Not at all. Actually, it made it look worse. I had more visible redness after using this, and I started to break out shortly after. I should have probably known this would happen because it contains willow extract (aka salicylic acid) and my skin hates salicylic acid. It didn't clear my pores, it didn't make my skin soft, it didn't make it look better. Would I buy it again? Nope. It was a fun thing to try, though. I'll stick with my new-found holy grail, Boscia Black Mask! This rubbery masks looks like it'd be fun to use and peel off. But, so sorry that it made your skin worse! That's enough to scare me away from trying it. Thanks for reviewing it and for taking photos of it along the way! my skin hate salicylic acid too.. It looks neat, but your results make me think no to this one. I'll have to try the Boscia mask. I was totally disappointed by the Boscia pore strips, but have been wanting to give something else in the brand a shot. Either way, whatever is in this masque probably isn't strong enough to treat much of anything (over the counter products aren't allowed to go very far into the skin, by law), but they sure are fun to play with! Megs, How awesome, thank you SO MUCH for chiming in! Do you mind if I ask you another question regarding the salicylic acid? Regarding the 'purging' that I so often hear about- how long does that typically last? I have in the past used salicylic acid-containing skincare for nearly a year consistently and the breakouts kept getting worse and worse until I stopped. Normal? Not normal? I am soooooo sorry it made you break out! :( (((hugs))) My skin hates salicylic acid too. It's too irritating for my sensitive skin. Thank you for the great review though. I'll know to steer clear of this mask. Have you tried The Body Shop tea tree face mask? It's my new obsession. One jar of it will easily have 15+ uses(if not more, I'm guestimating), and my skin feels so smooth after I use it I have to resist the urge to just rub my face all day after, haha. It doesn't completely dry, so you never get that annoying 'don't move your face at all or you'll get mask powder all over the place' issue. This is way too long of a comment, but you've asked a loaded question! Bear with me and please take into account that this is only my opinion. The purging stage usually lasts anywhere from 2-6 weeks, depending upon a few factors (home care, professional treatments, etc) but everyone is different. However, is one year normal? Definitely not. I'm wondering, and obviously this is without seeing your skin, if you have a dry or combination skin type. See, salicylic acid is awesome for treating acne, and like its friend Benzoyl Peroxide, if it's used too often without considering the skin type or *cause* of acne, it can lead to dryness. 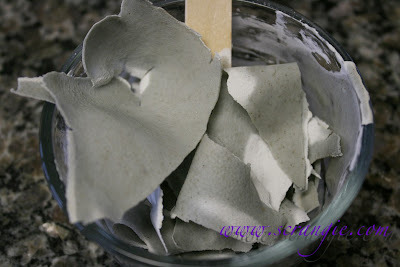 The dryness results in more acne, due to the skin producing more oil in order to bring itself back to its natural pH. In the same regard, it can also be irritating, which results in breakouts as well. Do you see how skin type/condition comes in to play here? The oilier the skin, the better it handles acids and stimulation. If you're dry, use creamy or sulfate-free cleansers to maintain hydration. Spot treat breakouts. I also have my clients use a cleanser containing glycolic acid (salicylic acid cleansers can work too, but differently) 1-2x a week to "exercise" the skin, exfoliating dead cells, allowing moisturizers to hydrate at a deeper level while at the same time stimulating collagen production. If you're combo, you should treat your skin like two different skin types, because it is- usually normal/dry or normal/oily. Use a cleanser or exfoliant with sal or glycolic acid in it (the two together work wonders!) 1-3x a week to keep up the exfoliation. If you notice you're getting dry, re-evaluate. When not using an acid, use either a cream based cleanser or gel based (again, sulfate-free) depending upon how oily/dry the skin is, to avoid stripping the skin. In regards to masques: clay masques, or any that dry for that matter, should only be used on oily skin/parts of the face, or used as a spot treatment on breakouts if on a dry skin type/area. Use masques that stay wet on dry/normal areas to prevent irritating and upsetting the pH of the skin. Oh, and remember: always, always, always remember to hydrate and protect (SPF), no matter your skin type! Lots of interesting information in the posts. I've never heard of this type of mask. It would be interesting to try once. I have tried the Fab rubberizing mask and loved the results. I have sensitive skin but a woman at Sephora swore by it so I gave it a try. 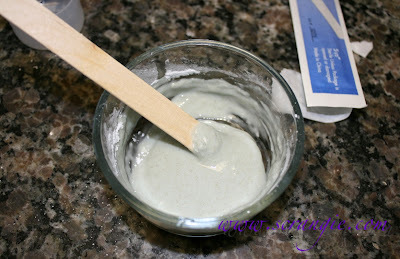 It made my skin smoother looking and radiant. My only con is that I got it in my bangs and it was a pain to was out.